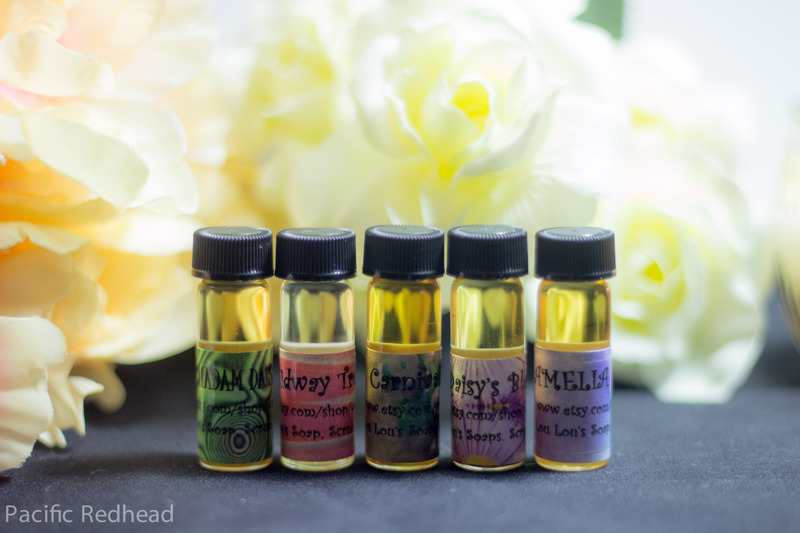 Candy Corn: My initial sniff in bottle is very very vanilla, it is creamy and sweet almost faintly butterscotchy. It makes me think of those butterscotch candies your grandma keeps in her fridge for some reason or another. On my skin while wet it turns a little bitter for some reason. It doesn’t seem like my skin is going to play well with this perfume. Unfortunately while fully dry it goes plasticy on me. I guess, I just wasn’t meant to love this one like I love the candies. 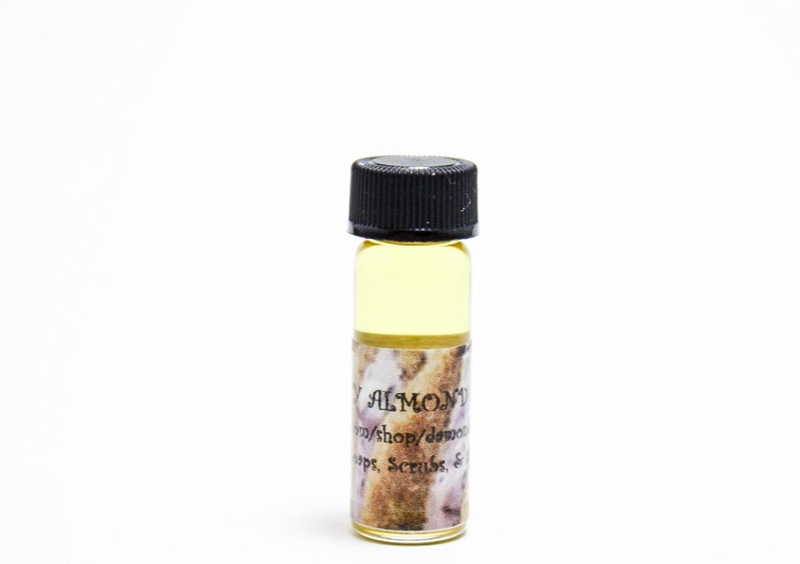 Blueberry Almond Cake: Right of the bat in bottle there is a punch of blueberries mellowing out by buttery creaminess. It is a very fresh picked blueberry scent, not at all fake. Very rich smelling. 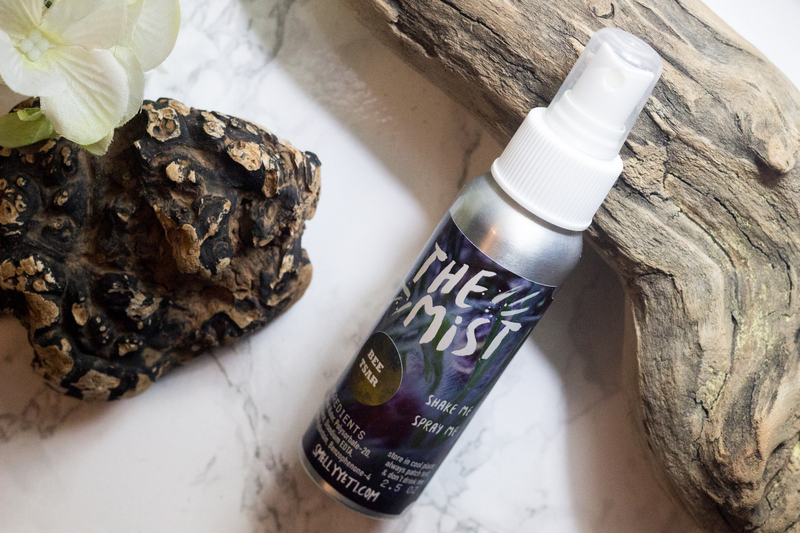 While wet on my skin there is still that punchy blueberry scent, and it almost reminds me of fresh hot oatmeal in the morning. Dry on my skin is much the same very blueberry, it also brings out some of the slightly bitter almond at the end with the backing of a fresh yellow cake. Blueberry Cheesecake: As with the Blueberry Almond Cake it is very much fresh picked blueberries. It makes me think of being at my In-Laws house in Western Pennsylvania picking the blueberries they have growing in their yard for breakfast. It is accented by a similar richness as the Almond Cake but a little more sour but sweet cream cheese. It certainly replicates the smell of a blueberry cheesecake quite accurately. The scent for this stays pretty much the same in all forms, wet & dry on my skin and that really isn’t a bad thing. Marshmallow Mummy: This is one of Lou Lou’s new scents and it just came out for Halloween. It is a unique marshmallow scent in that it isn’t immediately sweet marshmallow, it is balanced out by some fruitiness. It is a little orange with maybe some cherry or strawberries. The sticky benzoin comes out on my skin as well as the marshmallow. I really like how uniquely the marshmallow is presented in this perfume. The pairing with fruit is really interesting to me. 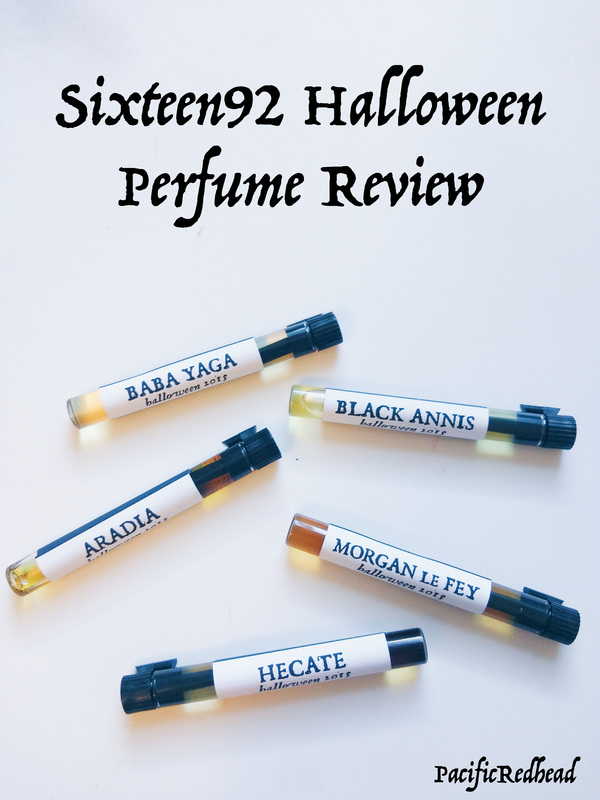 Ender’s Love Elixir: So I can’t give a real review of this, this is my custom perfume but I can tell you a little about the process and how amazing Evelyn was to work with on this project. I initially came to her with the idea for my custom this summer and told her I wasn’t in a rush so she could work on all the other customs before mine. I told her that I wanted a perfume based around my husband, something that would remind me of him. We’d discussed specific notes and what my inspiration was other than just my husband. The notes for my perfume ending up being “Leather, the cinnamon smell of his old spice, whiskey, cola, sweat, tobacco and sweet vanilla.” I can’t speak highly enough of my experience with Evelyn. She truly cared about getting my perfume exactly like what I wanted. All links are non-affiliate and are there for your reference. They will not make me any money. Check me out on Instagram @pacificredhead, till next time! 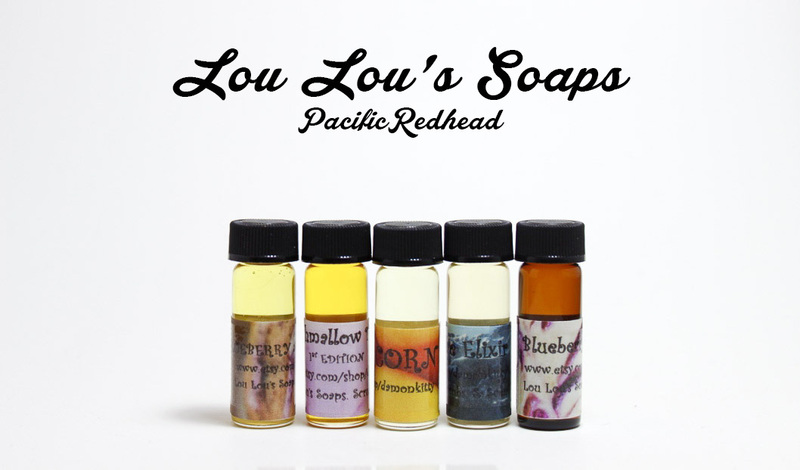 Lou Lou's Soaps, Scrubs, and Scents was one of my very first indie companies. 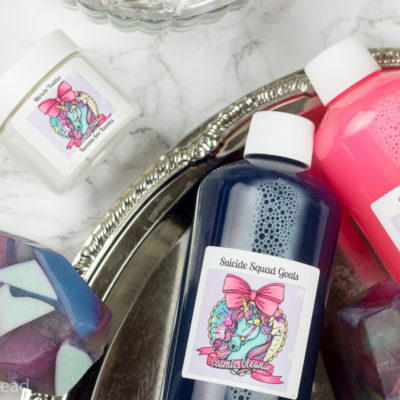 Evelyn the owner has a passion for well crafted perfumes and glycerin soaps.